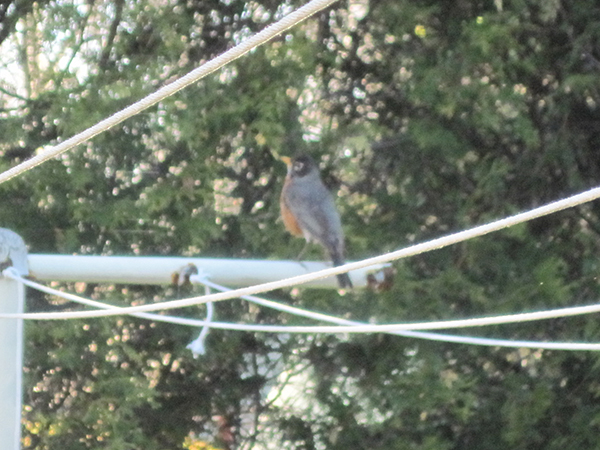 I love watching the robins appear in spring. Such a hopeful sign, and the way they hop about the yard and collect items for their nests intrigues me as well. They are known for making nests above doorways, flying over your head as you come and go. 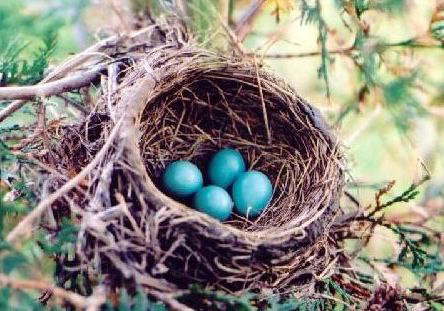 I’ve always wondered about their nests, why they’d put them so close to us careless humans, but they also do a good job of protecting their nests, their babies, the things most precious to them. And I realized it was the key to life, to show the world your heart, but also to protect it. Years ago, I wasn’t always good with boundaries in that area. I’d been hurt so much as a kid that I had to learn to love properly as an adult. In my quest for safe emotional boundaries I would either open up my heart totally to everyone or remain closed off. When you learn and grow sometimes you take two steps forward and one back, but you keep going nonetheless. I did that. God moved me in a positive direction, so I could have a loving marriage, positive relationships, and cherished friendships. One spring day as I thought of those robins and my own emotional growth I wrote this poem. It is found in my book, My Soul Is From a Different Place. made with sticks and feathers. she says, giving me a nudge. had the robin chose to hide it. from those who would do harm. « Spring, Did You Hear My Call?